Born in Chioggia - Italy - in 1900, Flavio Poli studied at the Istituto d'Arte di Venezia as a ceramicist. In 1929 he began working as a glass artist at the Industrie Vetraie Artistiche Murano or IVAM glass factory, where he designed mostly sculptural pieces. In 1934 he joined the firm Barovier Seguso Ferro and became artistic director and a partner in the company after just three years. In the 1950s he began experimenting with Sommerso glass, a technique achieved by overlapping different layers of glass in a variety of colors and thicknesses. 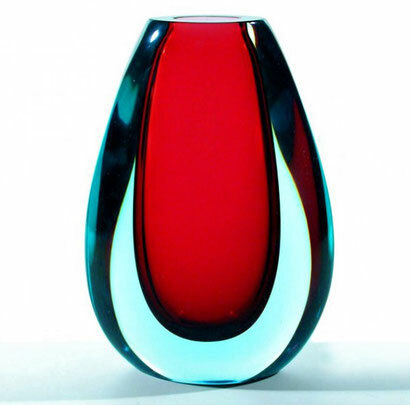 The resulting pieces received international recognition as superior examples of 20th century Murano art glass, and Poli was awarded the Compasso d'Oro prize in 1954. At the height of his career, Poli won five Grand Prix awards at various Milan Triennales and his designs were exhibited in numerous editions of the Venice Biennale. 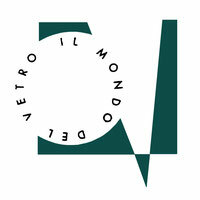 Poli left Seguso in 1963 to form a division of the Società Veneziana di Conterie e Cristallerie. He died in Venice in 1984 and his works can be found in numerous public and private collections around the world, including the Museum of Modern Art, New York, the Murano Glass Museum, Venice and the National Gallery of Victoria in Australia.